Presenting to your attention the ancient Spanish treatise “Simple way of examining teachers in the art of fencing with weapons” (1625), authored by Don Luis Pacheco de Narvaez. 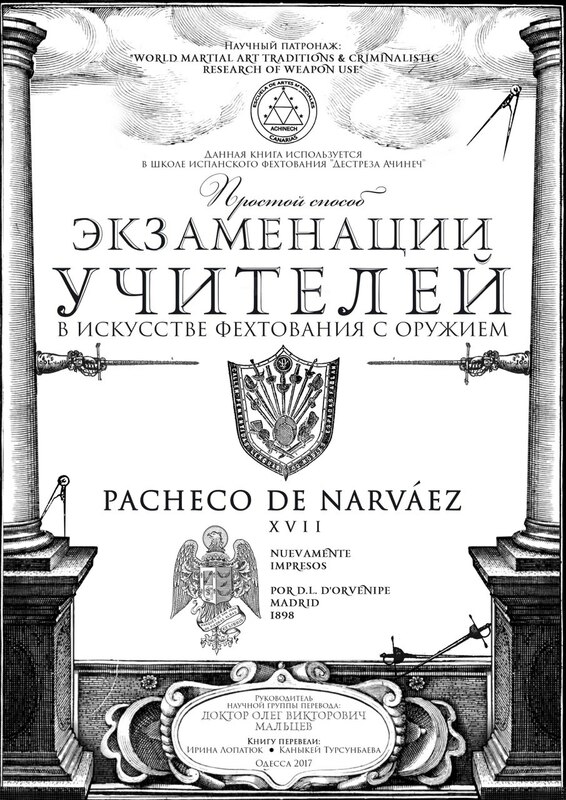 The treatise was translated for the first time into Russian by the scientific group of the “Scientific Research Institute of World Martial Art Traditions Study and Criminalistic Research of Weapon Handling” together with the Spanish Fencing School “Destreza Achinech”. This treatise is one of the most famous documents written by Don Luis Pacheco de Narvaez, a nobleman, a master of fencing, one of the founders of the Spanish fencing school (Destreza), a senior fencing teacher of the Kingdom of Spain (1625). 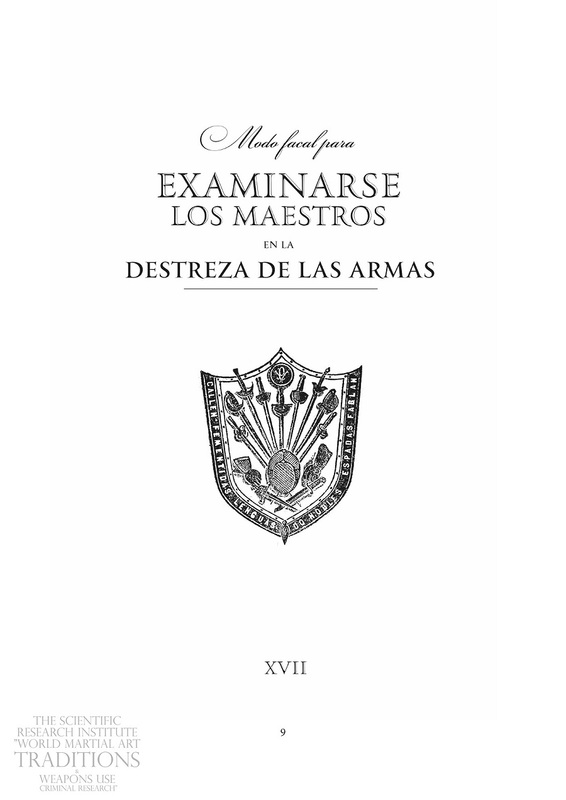 The treatise is useful for studying history of the weapon handling, it will be found extremely valuable for intellectuals and those who seek to learn the true principles and skills of Spanish fencing. The book is written in the manner of a dialogue between the pupil and the teacher, examiner in philosophy and art of fencing on obtaining the degree of Maestro. “The defensive stances meet requirements necessary to ensure justice and peace in the Republic. Competitions must hold among equals. The crown is awarded to valiant knights, who have shown wisdom and skill. The dialogue contains these two principles and the text describes the training with a weapon. As for a doctrine, the fruits of the nobility’s teachings cannot contradict it, and a discipline itself cannot violate it. This is what lifts a spirit of a valiant men, bravely defending Republic by force of arms” Priest of His Majesty, Brother Cristobal de Torres. 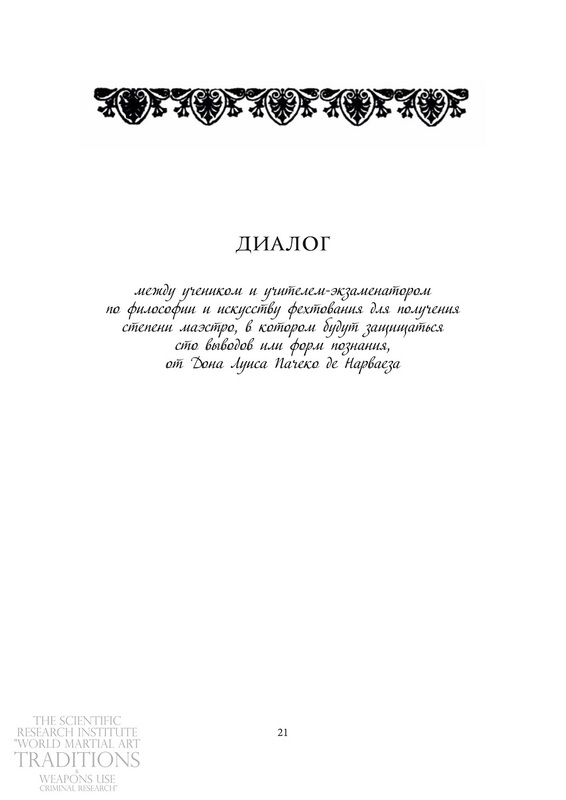 This work was first translated and published in Russian language and it is recommended not only to those who aspire to become a maestro of Spanish fencing, but also for ones who study the science of Destreza. Having studied the contents any person will be able to distinguish a true maestro from a huge number no great shakes, fake “maestro”, whom one can anywhere in the sphere of martial arts. The translation was prepared by employees of the “Scientific Research Institute of World Martial Art Traditions Study and Criminalistic Research of Weapon Handling” lead by Dr. Oleg Maltsev. 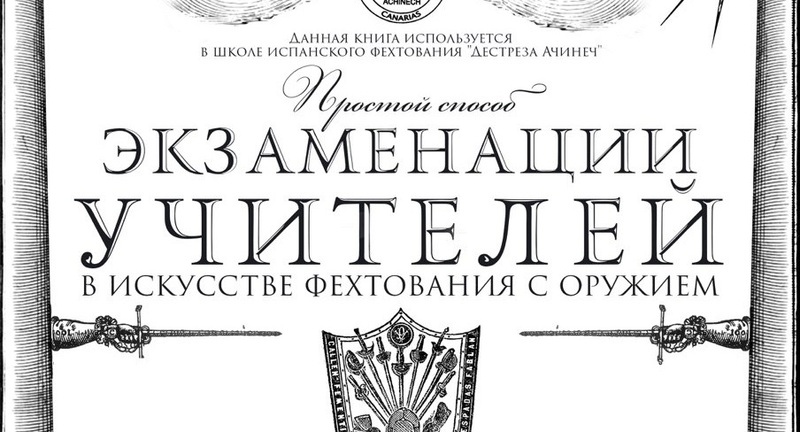 The book was translated by Irina Lopatyuk and Kanykei Tursunbaeva.